Ask us a color to dye your nubuck shoes… We have it! 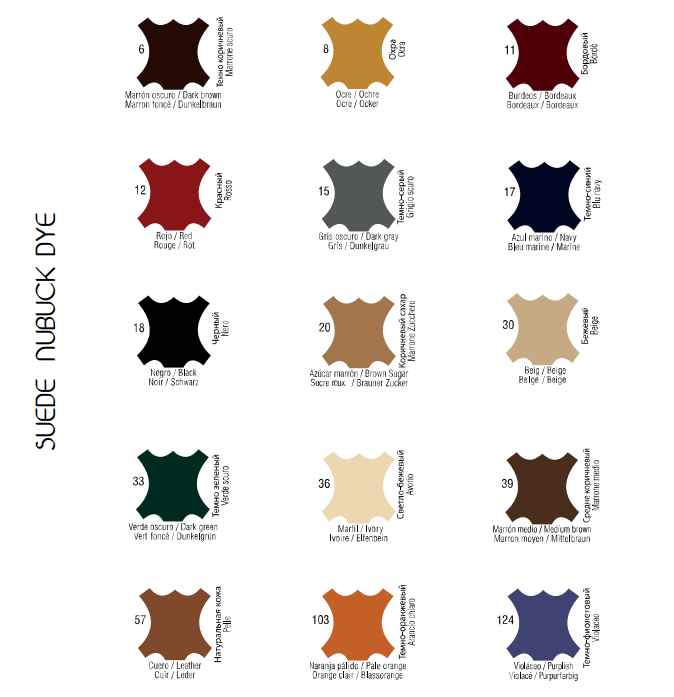 Home » Ask us a color to dye your nubuck shoes… We have it! The care of the nubuck shoes has to be constant if you want to show them off. If you haven’t done it and they have lost color or have stains, may be the solution is to dye them. In Tarrago we offer a wide range of dyes that can be adapted to what you need. Tarrago’s suede and nubuck ink is an alcohol-based dye formulated to change from light to dark colors. Provides a solid color, resistant to dry friction or wet conditions. Once the dye is dry, it does not fade. It is very easy to apply. Our range of colors, originally formed by 3 basic colors, has been extended to 15. There is no shoe that you’ll not be able to renew! We have burgundy, ocher, red, gray, blue, various browns, beige, green, ivory, orange, violet and leather. 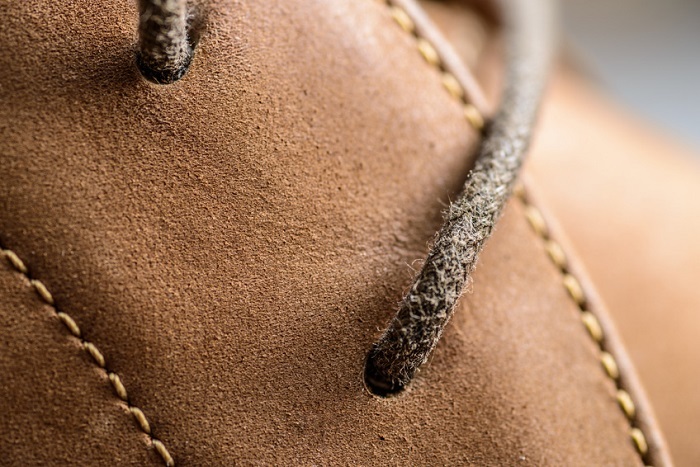 The range of dyes is complemented by a wide range of products created especially for the care of this type of leather. 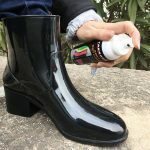 These are cleaners such as the Nubuck Suede Dry Cleaner or the Nubuck Cleaner sponge applicator bottle; repairers such as the Nubuck Suede Renovator spray, available in 25 colors, or the Nubuck Suede Color renovator sponge applicator bottle; and accessories such as the Block cleaning rubber or the Luxe brush. Nous sommes une entreprise et nous aimerions avoir votre catalogue de teintures le n° 28 naranja nous intéresse particulièrement . Somos una empresa y nos gustaría tener su catálogo de tintes N ° 28 naranja estamos particularmente interesados.